Selenicereus (syn. 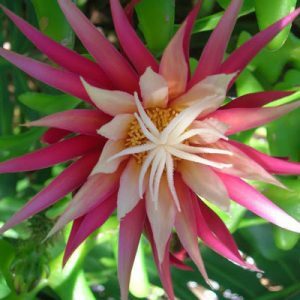 Cereus) is a beautiful group of trailing epiphytic cacti. 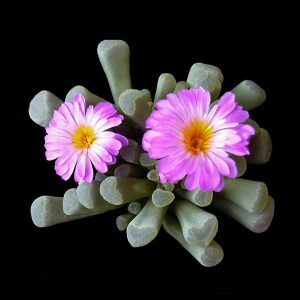 They have stunning flowers which appear in the night. 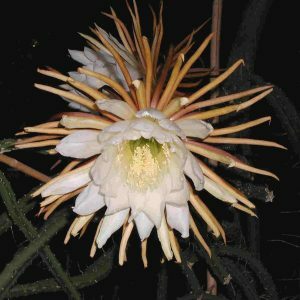 This is why the most famous Selenicereus species, Selenicereus grandiflorus, is also called Queen of Night. Selenicereus species can be found in the West Indies, Mexico, Colombia, Honduras (Selenicereus hondurensis), Uruguay and Argentina. The plants require filtered light to shade. 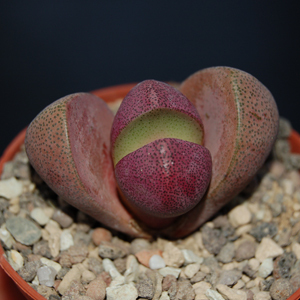 They grow fine in regular cactus soil which is slightly acidic (add some peat). Winter temperatures should be kept around 15 °C. Selenicereus is a perfect grafting stock for slower growing cactus species. 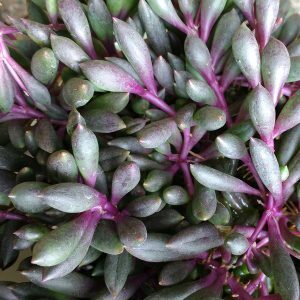 Propagation is done by taking stem cuttings and by sowing seeds.